I had a “Big Braddah” combo plate that consisted of imu pit kalua pork and teriyaki chicken. 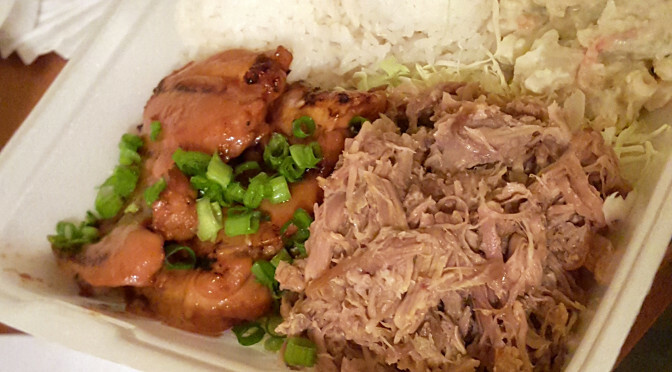 These meats were served on a bed of rice that was seasoned with shoyu/soy sauce, and served with a side of “potato-mac,” which is macaroni salad mixed with potato salad. Pretty brilliant, and it seemed to be an island staple side dish of sorts, as I ended up seeing it all over the place. Everything was good. The chicken was really tender, juicy and flavorful. The pork was awesome too. It wasn’t drenched in sauce like I expected, and it wasn’t dry at all. 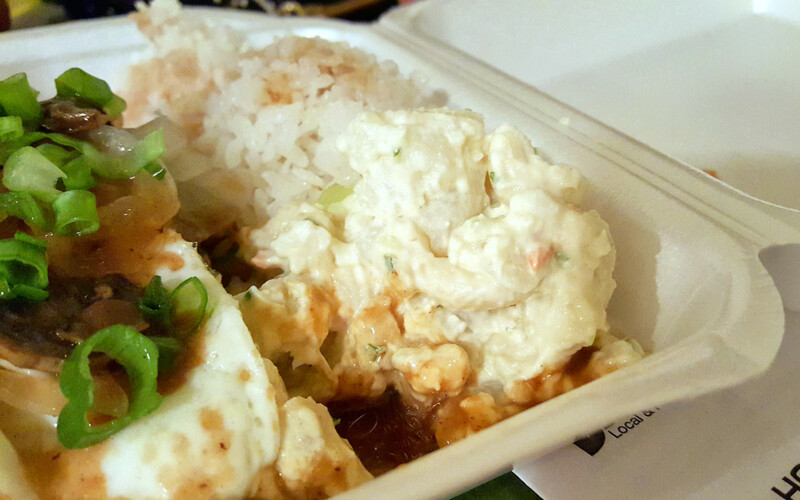 My wife ate what I consider to be Hawaii’s signature fast casual dish: Loco Moco. 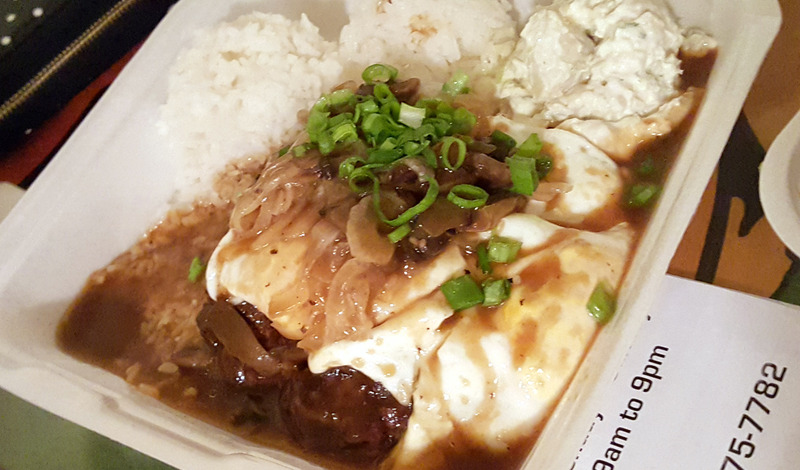 Essentially this is a chopped steak, or a large-sized, seasoned hamburger, on a bed of rice and topped with gravy, onions, an egg, sesame seeds and other tasty things, depending on the particular restaurant. This, too, was served with potato-mac. This was the better meal of the two here, simply because… well, burger + egg + gravy, I guess. It packed a ton of flavor and was a really generous portion. I ended up eating half of my wife’s dinner as well as my own. This joint is fast casual, and fair-priced. You order your food and eat at tables like any fast food joint. I was impressed with the quality given the fact that five people ate dinner for a total of $65. 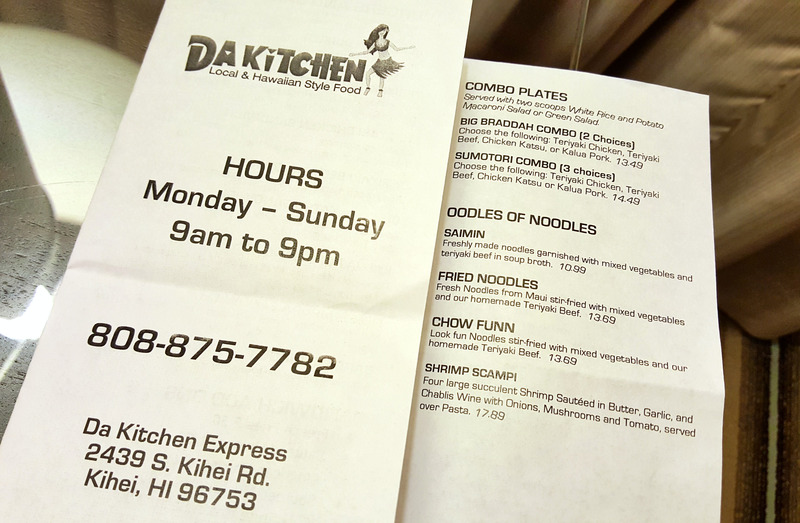 I even tried a bite of my sister’s chow funn (for some reason they use two n’s in Hawaii). This was pretty good too. 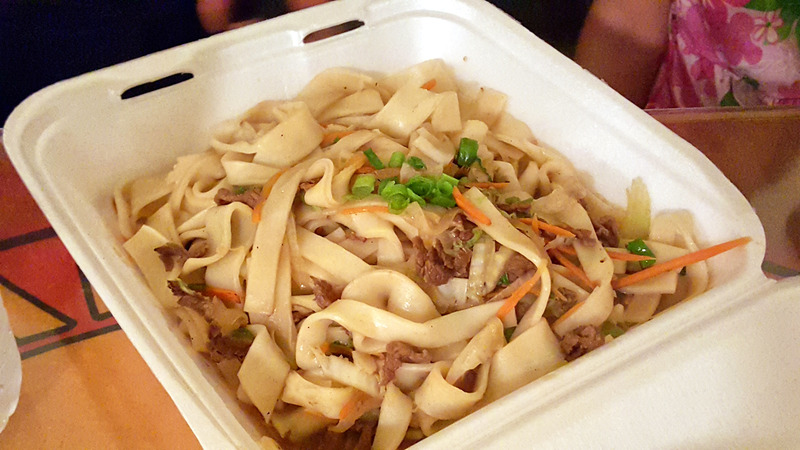 Big serving size, good, thick noodles too.